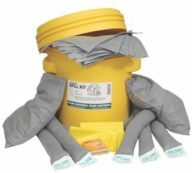 The universal 50-Gallon Spill Kit is a great unit for medium spills. 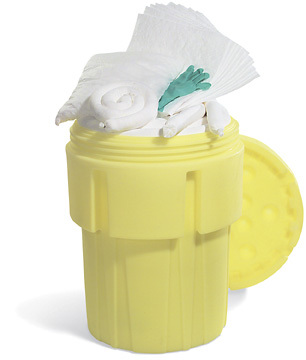 This convenient spill kit easily fits through narrow aisles and doorways. 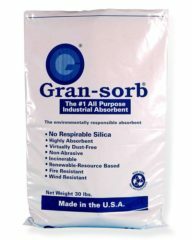 Packed with everything you need for quick emergency response. This durable heavy-duty wheeled cart will last for many years and its compact size minimizes storage space.